Come paint with trucks, fingers and brushes! Explore slime, color mixing, glue, clay, magnetism, sound and more! Each week there is a varied selection of sensory-rich, art-themed projects. 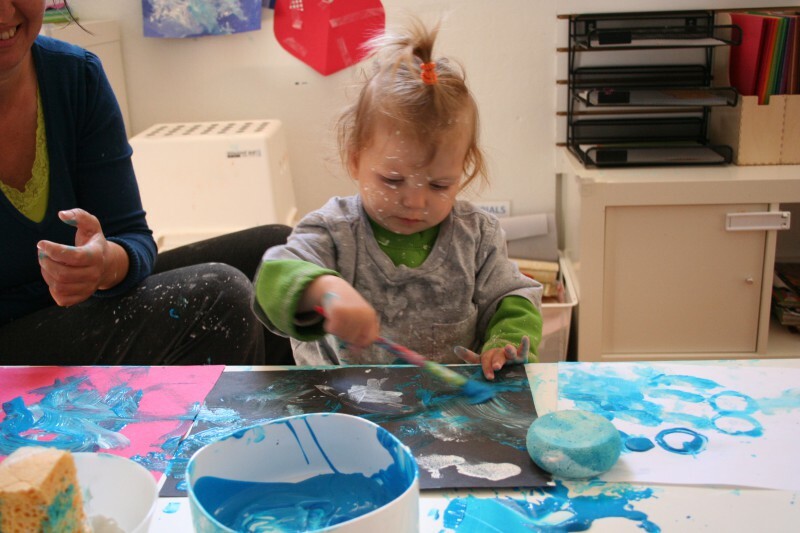 Sensory Fun is a wonderful opportunity to participate in your young child’s artistic exploration and discovery. This is a process-based class, with a focus on open-ended activities. Please come prepared to get messy! Enrollment limited to 10 per section. This section is full. Please try another section or class.